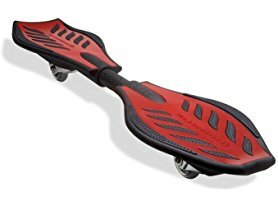 Today only and while supplies last this Razor Ripstik Caster Board is just $34.99 (Reg. $99.99)! 360 degree inclined casters and a pivoting deck provide a unique carving motion, for the thrill of surfing and snowboarding on dry land. Its unique twisting motion moves you forward without pushing off.